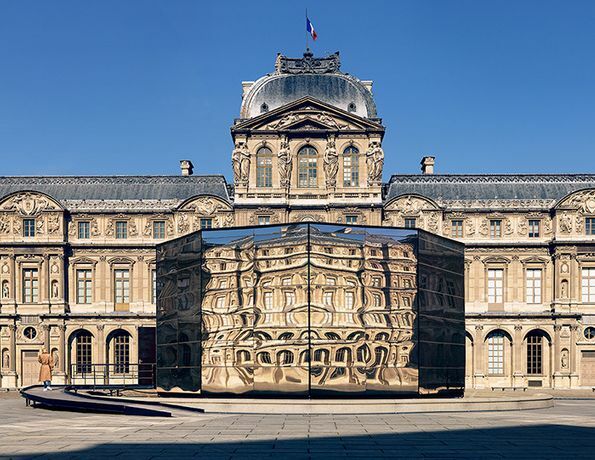 Displayed atop the central fountain of the Louvre’s Cour Carrée, Eva Jospin’s Panorama is designed as an architectural artwork in itself. 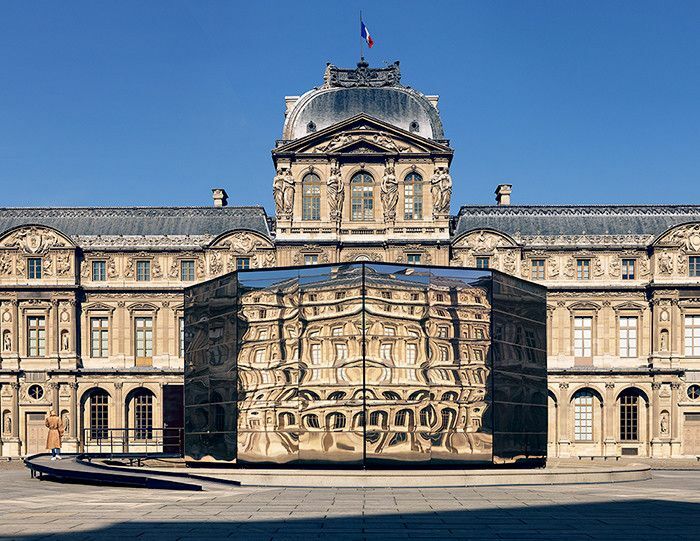 Its external steel mirrored walls reflect the stony aspect of Paris and the façades of the Louvre palace. The public is invited to enter the structure to enjoy a 360° panorama that will plunge them into the plant realm, echoing the world of forests and caves. The artist’s Panorama is in line with traditional panoramas that became an increasingly popular attraction in the 18th century. They were the precursors of shows, fairs, rides, cinema and all sorts of entertainment that the city offered its inhabitants for a fee. The earliest known panorama in France, thePanorama of Constantinople by Pierre Prévost (1764–1823), is housed in the Louvre’s Department of Paintings. It was displayed during the exhibition “Philippe Djian at the Louvre” (November 27, 2014–February 23, 2015). Eva Jospin works with cardboard, a material rarely used, to create works in high relief. With Panorama, two hallmarks of the artist’s oeuvre, perspective and depth, are worked on a grander scale. This work was specifically designed for the Cour Carrée of the Musée du Louvre, and will later go on tour in several cities throughout the world.